2013 - Study ~ Cannabinoids increase type 1 cannabinoid receptor expression in a cell culture model of striatal neurons: implications for Huntington's disease. 2013 - Study ~ CNR1 variation is associated with the age at onset in Huntington disease. 2012 - Study ~ Cannabinoids: Novel Medicines for the Treatment of Huntington's Disease. 2012 - Study ~ Downregulation of cannabinoid receptor 1 from neuropeptide Y interneurons in the basal ganglia of patients with Huntington's disease and mouse models. 2012 - Study ~ Cannabinoid Receptor 2 Signaling in Peripheral Immune Cells Modulates Disease Onset and Severity in Mouse Models of Huntington's Disease. 2011 - Study ~ Neuroprotective effects of phytocannabinoid-based medicines in experimental models of Huntington's disease. 2011 - Study ~ Loss of striatal type 1 cannabinoid receptors is a key pathogenic factor in Huntington's disease. 2011 - Study ~ Worsening of Huntington disease phenotype in CB1 receptor knockout mice. 2011 - Study ~ Metabolic and Type 1 cannabinoid receptor imaging of a transgenic rat model in the early phase of Huntington disease. 2011 - Study ~ Unbalance of CB1 receptors expressed in GABAergic and glutamatergic neurons in a transgenic mouse model of Huntington's disease. 2010 - Study ~ Widespread Decrease of Type 1 Cannabinoid Receptor Availability in Huntington Disease In Vivo. 2010 - Study ~ Cannabinoids and Dementia: A Review of Clinical and Preclinical Data. 2010 - Study ~ Neuroprotective potential of CB1 receptor agonists in an in vitro model of Huntington's disease. 2010 - Study ~ Behavioural and molecular consequences of chronic cannabinoid treatment in Huntington's disease transgenic mice. 2009 - Study - The endocannabinoid system as a target for the treatment of motor dysfunction. 2009 - Study ~ Microglial CB2 cannabinoid receptors are neuroprotective in Huntington's disease excitotoxicity. 2009 - Study ~ Altered CB1 receptor and endocannabinoid levels precede motor symptom onset in a transgenic mouse model of Huntington's disease. 2009 - Study ~ Cannabinoid CB2 receptor agonists protect the striatum against malonate toxicity: relevance for Huntington's disease. 2009 - News ~ Medical Marijuana and Huntington's Disease. 2008 - Study ~ Altered Lipid Metabolism in Brain Injury and Disorders. 2008 - Study ~ The endocannabinoid pathway in Huntington's disease: a comparison with other neurodegenerative diseases. 2006 - Study ~ UCM707, an inhibitor of the anandamide uptake, behaves as a symptom control agent in models of Huntington's disease and multiple sclerosis, but fails to delay/arrest the progression of different motor-related disorders. 2006 - Letter - Nabilone Could Treat Chorea and Irritability in Huntington's Disease. 2005 - Study ~ Abnormal sensitivity to cannabinoid receptor stimulation might contribute to altered gamma-aminobutyric acid transmission in the striatum of R6/2 Huntington's disease mice. 2004 - Study ~ Structure, expression and regulation of the cannabinoid receptor gene (CB1) in Huntington's disease transgenic mice. 2004 - Study ~ Delayed onset of Huntington's disease in mice in an enriched environment correlates with delayed loss of cannabinoid CB1 receptors. 2003 - Study ~ Compounds acting at the endocannabinoid and/or endovanilloid systems reduce hyperkinesia in a rat model of Huntington's disease. 2003 - Study ~ Effects of cannabinoids in the rat model of Huntington's disease generated by an intrastriatal injection of malonate. 2002 - Study ~ Alleviation of motor hyperactivity and neurochemical deficits by endocannabinoid uptake inhibition in a rat model of Huntington's disease. 2002 - Study ~ Loss of cannabinoid CB(1) receptors in the basal ganglia in the late akinetic phase of rats with experimental Huntington's disease. 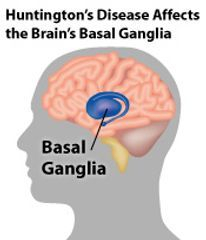 2001 - Study ~ Changes in endocannabinoid transmission in the basal ganglia in a rat model of Huntington's disease. 1986 - Study - EFFECTS OF CANNABIDIOL IN HUNTINGTON'S DISEASE. Cannabidiol (CBD) is a major nonpsychoactive cannabinoid of marijuana. Based on reports indicating possible efficacy of CBD in dystonic movements (Neurology 1984; 34 [Suppl 1]: 147 and 1985; 35 [Suppl 1]: 201), we tried CBD in three patients with Huntington's disease (HD). The patients;, aged 30 to 56, had HD of 7 to 12 years' duration. Their condition has been slowly progressive and unresponsive to prior therapy with neuroleptics. Orally administered CBD was initiated at 300 mg/d and increased 1 week later to 600 mg/d for the next 3 weeks. Mild improvement ( 5 to 15%) in the choreic movements was documented using the tongueprotrusion test (Neurology [Minneap} 1972; 22: 929-33) and a chorea severity evaluation scale (Br J Clin Pharmacol 1981; 11: 129-51) after the first week. Further improvement (20 to 40%) was noticed after the second week of CBD, and this remained stable for the following 2 weeks. SIR: Huntington’s disease causes chorea and psychiatric abnormalities. Psychiatric symptoms were found in one study in 51 out of 52 patients. Dysphoria, agitation, irritability, apathy, and anxiety were found in above 50% of the patients sampled. Many sources postulate that cannabinoids could have a beneficial effect on the symptoms of Huntington’s disease, especially on choreatic movements. As well as providing possible symptomatic relief in Huntington’s disease, there is also some evidence that cannabinoids might have a neuroprotective effect which could delay the onset of symptoms by delaying or preventing the death of striatal neurons. This neuroprotective effect has also been postulated by other sources. To date there are only two reports on the use of cannabinoids in Huntington’s disease in the literature. Cannabidiol, a nonpsychotropic cannabinoid, had no effect on chorea severity in 15 patients. In one single patient, single dose, uncontrolled open clinical trial using nabilone, 1.5mg, the chorea increased significantly. We present a case of a female patient with irritability, which improved after the introduction of cannabis. This improvement was maintained by treatment with nabilone. The patient was a 43-year-old female who died in December 2003. She developed symptoms of Huntington’s disease at the age of 24 and her husband gave up paid employment to care for her in 1990 when she was 30 years old. In 1995, he reported difficulties in caring for his wife. These difficulties were related to personality changes due to her illness. She increasingly resisted help from professionals, especially care assistants, and refused any suggestion of short-term respite care. She became disinhibited and frequently undressed herself and walked around naked inside and occasionally outside the house. She exhibited a number of dangerous behaviors, such as leaving taps running and fires burning, and leaving burning cigarettes around. Her husband became concerned about the effect that the care for his chronically ill wife was having on his son, who was born in 1984. The patient went into residential care in 1996. The patient’s husband visited two or three times every week and he always took his wife out for a trip. These trips were difficult because of the patient’s refusal to be strapped into the car or her wheelchair, which sometimes resulted in falls caused by violent choreic movements when he was unable to physically hold her in the chair because he was using his hands for some other purpose. 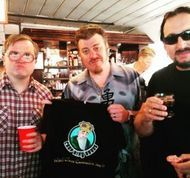 In 2001, he began to give his wife cannabis to smoke when he took her out on these regular trips. When he returned his wife to the nursing home after these visits the staff were aware of a significant difference in the patient. The cannabis appeared to improve her mood and she was calmer and more relaxed. Prior to the introduction of cannabis she was extremely impatient and would get angry if required to wait even a few minutes for a cigarette. After taking cannabis, she was able to wait a while without screaming and throwing things. The patient also willingly accepted the use of a car seat belt and wheelchair harness. In December 2001, the local general practitioner prescribed a regimen of nabilone, a synthetic 9-keto cannabinoid, which the patient began taking, 1mg each day. 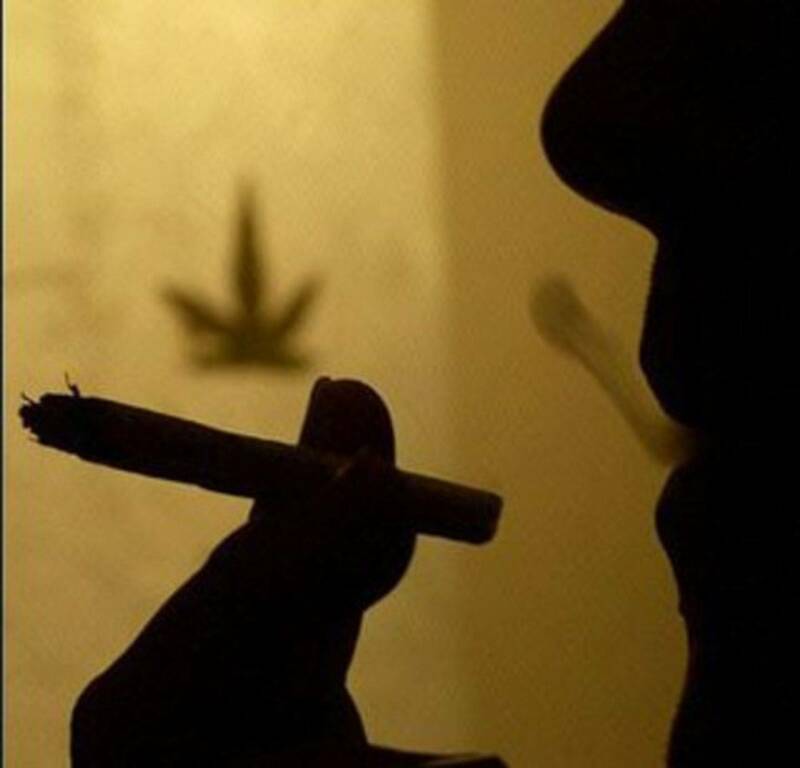 The husband and the nursing home staff both reported improvements in behavior and reduction of chorea coinciding with the introduction of cannabis and maintained by daily taking nabilone. This report has many limitations. It is a single case report and no measurements were taken at the time of the introduction of cannabis and nabilone. The information was obtained by interviewing the husband and staff from the care home in 2005. The symptoms of Huntington’s disease do change over time and the movements are different in the later stages of the disease. However both the husband and the staff are sure that the introduction of cannabis was beneficial and greatly improved the patient’s quality of life in her last years. There is need for further trials to establish the therapeutic use of cannabinoids in the symptomatic treatment of Huntington’s disease. The first author receives an unrestricted educational grant from Cambridge Laboratories, which holds the European marketing rights for nabilone. Departamento de Bioquímica y Biología Molecular and Centro de Investigación Biomédica en Red sobre Enfermedades Neurodegenerativas (CIBERNED), Facultad de Medicina, Universidad Complutense, Madrid, Spain. There is evidence that cannabinoid-based medicines that are selective for different targets in the cannabinoid signalling system (e.g. receptors, inactivation mechanism, enzymes) might be beneficial in basal ganglia disorders, namely Parkinson's disease (PD) and Huntington's disease (HD). These benefits not only include the alleviation of specific motor symptoms [e.g. choreic movements with cannabinoid receptor type 1 (CB(1))/transient receptor potential vanilloid type 1 agonists in HD; bradykinesia with CB(1) antagonists and tremor with CB(1) agonists in PD], but also the delay of disease progression due to the neuroprotective properties demonstrated for cannabinoids (e.g. CB(1) agonists reduce excitotoxicity; CB(2) agonists limit the toxicity of reactive microglia; and antioxidant cannabinoids attenuate oxidative damage). (ii) the cannabinoid system plays a prominent role in basal ganglia function by modulating the neurotransmitters that operate in the basal ganglia circuits, both in healthy and pathological conditions; and (iii) the activation and/or inhibition of the cannabinoid system is associated with important motor responses that are maintained and even enhanced in conditions of malfunctioning and/or degeneration. In this article we will review the available data regarding the relationship between the cannabinoid system and basal ganglia activity, both in healthy and pathological conditions and will also try to identify future lines of research expected to increase current knowledge about the potential therapeutic benefits of targeting this system in PD, HD and other basal ganglia disorders.